We are delighted to announce that Gosfield Hall has been shortlisted in the ‘Best Stately Home Wedding Venue’ category at both Hitched’s UK Wedding Awards 2019 AND the British Wedding Awards 2019! 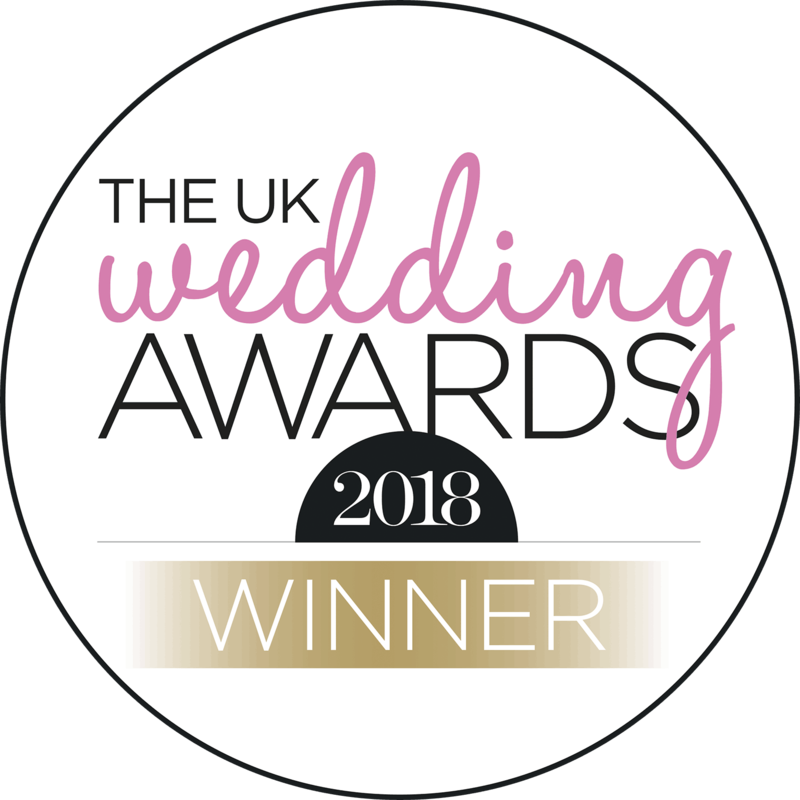 We were incredibly proud to have won this award at the UK Wedding Awards in 2018, and were shortlisted for it in 2017 so fingers crossed we can win it two years on the trot! We were also voted finalists at the British Wedding Awards 2015 and won the Wedding Venue of the Year (Heritage) award at the Essex Wedding Awards 2012. Finally, we were proud to be voted Best UK Wedding Venue 2011 by the readers of Wedding Ideas – arguably the UK’s most prestigious wedding award. A wedding to remember… This wedding venue was delightful. We attended our nephew’s wedding here and every aspect was stunning. The wedding coordinator was very attentive. We have eaten at a few Michelin star restaurants and this place is up there with them. The beef was mouth-watering. We stayed in one of the family bedrooms and loved the room and views. If you book your wedding here you will not be disappointed. Attended a wedding in February 2019. It is one of the best wedding venues I have ever attended. Gosfield Hall is an historic building set in well kept picturesque grounds. With oak panelled walls, comfortable period furniture, lofty ceilings, it is a very impressive location. We were greeted on arrival by smart staff and offered a range of welcoming drinks including cocktails followed by delicious canapés. The food for the sit down meal was superb and would have complimented a high class restaurant all served promptly by conscientious and skilled waiting staff. For those that needed accommodation, the rooms were the biggest I have ever seen, all on suite. Our son & daughter-in-law had their wedding at Gosfield Hall on Monday 18th February. From the time the bridal party arrived at the cottage the evening before, until leaving Tuesday morning we could not fault it. Bernard and I enjoyed every beautiful moment of Robin and Cath’s wedding at your stunning location. We want to say thank you to you personally as their Wedding Planner. We also want to say a huge thank you to ALL the staff at Gosfield Hall who worked so hard to create all the decorations, setting up of the wonderful Ballroom for the wedding feast, preparing, cooking and serving it, preparation of all the various bedrooms and the sumptuous breakfast the following morning. I could go on, but everything was all presented and arranged so beautifully and with such professionalism and skill that all of us who were lucky enough to be invited to Robin and Cath’s wedding was utterly amazed and delighted at what we experienced. In particular, may we compliment you on the staff who were – without exception – helpful and kind to all of us. I cite the instance of our dear friends Ken and his wife Brenda – who has two artificial knees. They did not have a chair with arms in their allotted bedroom, but one was immediately found and brought up for her to approve, and she was asked again if there was anything they could do to help her. Everyone we know (and we knew personally over 50 of the invited guests) was full of praise for the quality of the food served – not only the delicious canapes, but in particular the main wedding feast. It was all so fresh and delicious and this must have been a difficult job given that the two previous days were Christmas Day and Boxing Day! To sum up – we cannot thank you and all the people who work at Gosfield for giving us such a lovely day. You will never be forgotten, and so many people at the wedding are still commenting on it and saying how wonderful it all was. We know Cath and Robin were thrilled with all that you did for them, and you really did make their dreams come true. That’s the best accolade ANYONE could have, so “Well Done” to you and to everyone who works so hard at Gosfield Hall. We got married on the 5th January 2019. All I can say is – if ANYONE is on the fence about having their wedding at Gosfield, take the plunge! We had the best day of our lives – everything was perfect and our guests have said it’s one of the best weddings they’ve ever been to. Its success was solely down to Gosfield – the food was excellent, my lovely wedding manager Jan was amazing and the flow of the rooms was perfect! The staff were amazing and of course, the venue looked beautiful. Such an amazing venue with fantastic staff… Had the best day of my life here 29.12.18! An absolutely beautiful setting for a wedding and amazing staff who do a great job to make a perfect day!